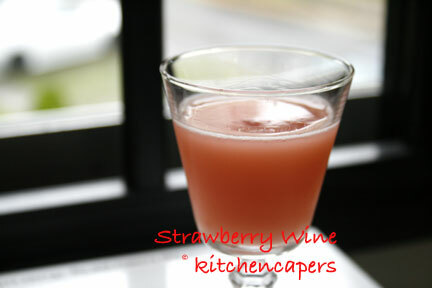 Kitchen Capers Forum Index -> Wine Making at Home! Can be quite alcoholic..drink it when its icy cold. And please DON'T DRINK AND DRIVE! 1. 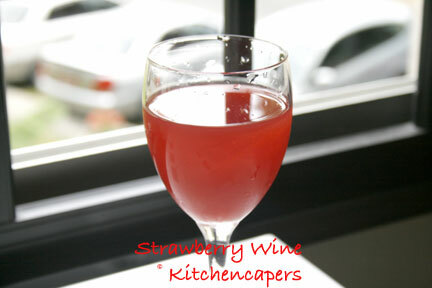 The wine colour is more RED, smells like Strawberries and tastes sweet naturally and strawberry is very evident. 2. The 2nd pic, the wine is more pink, very acidic with a bit of gas like drinking 7 Up or Coke. Strawberry flavour totally lost, smell of Strawberry completely gone. I will use this for marinating meats instead. 1. Wash, clean, cut and discard the leaves, stalks. Chop finely. 3. Put the contents in a glass jar, tighten the cover. 4. Leave it aside for 7 days. Loosen the cover every alternate day. 5. Every day you should see some bubbles building up in the jar. It should smell of wine and not mouldy. 6. After the 7th day, you can open the jar, sieve out the wine. 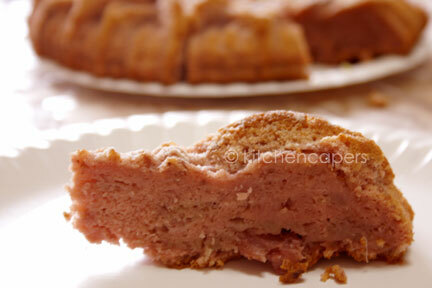 I use the strawberries to bake a cake. The cake smells great and it does not have a hint of the wine at all. 7. Harvested wine should be kept in the fridge. Drink it cold with ice. 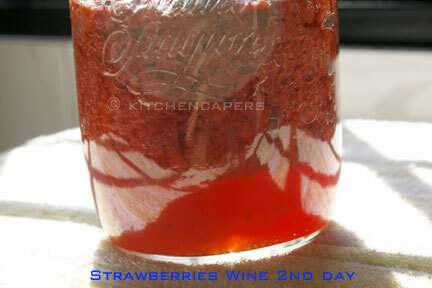 I threw the strawberries away after harvesting my wine coz it's all gooey. I have harvested the 2nd run..but I prefer the ones I made earlier using chopped up strawberries. I have also updated my post..read the notes above.